At Home Personal Care Services LLC just opened its second headquarters in the Northern Virginia Region. 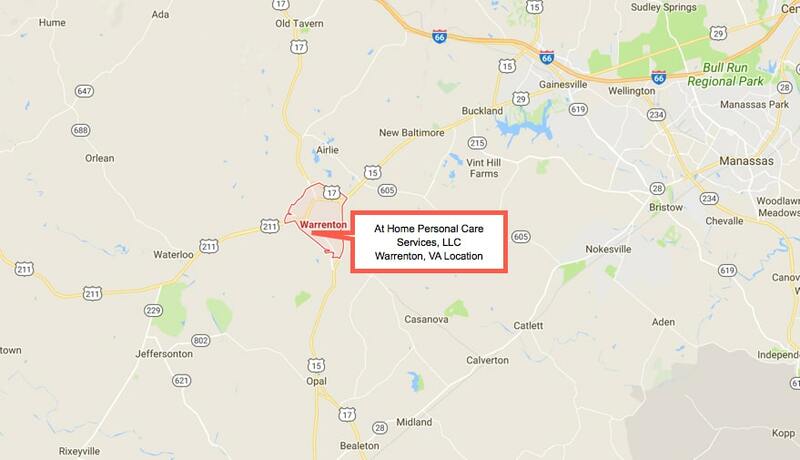 The new location in Warrenton Virginia serves as place where families with loved ones in need of skilled professional in-home nursing care, therapy services and personal care can call for quality in home care. Warrenton, Va (pr.com) August 25, 2017 – At Home Personal Care Services LLC has opened a second headquarters office in Warrenton, responding to a growing need for home care services in Northern Virginia. “We are all excited for this new office in Warrenton because it will enable us to provide even better, more focused care to more families across Northern Virginia, while also giving better opportunities to our incredible nurses, therapists and caregivers” said Robin Wright.